If you’ve found yourself wanting to try out that hot Frisbee death game from 1982’s TRON (or to a lesser extent, 2010’s TRON: Legacy) then you don’t have a lot longer to live. Need to see if you can run this in VR? See our VR-ready system building guide. CCP, the developers behind EVE Online, showed further details on their ongoing VR game Project Arena at EVE Fanfest today. 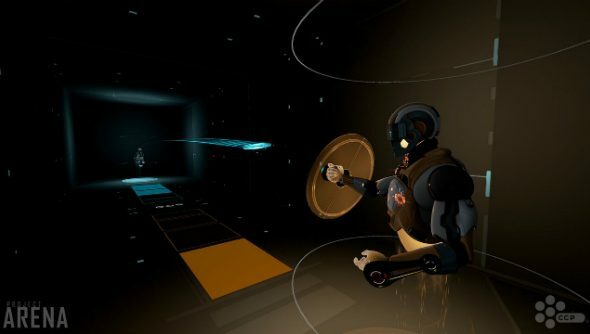 The footage shows players in a mixed media space overlaid by the graphics of a VR construct bouncing light discs off the walls and floor in order to hit each other. The discs act as a shield when not thrown, though if you offensively throw your disc you can dodge projectiles aimed at you by your opponent. The resemblance is uncanny, though the losing player does not appear to derez on contact with the final disc, so it’s only getting a 7 for authenticity from us at this stage.